One of my goals this autumn is to spend some time sprucing up my Pumpkin+Bear etsy shop. Etsy recently doubled the number of photos that we're allowed to include with a listing, which means that now none of my listings have the maximum number of photos in them. It will be nice, because I can add more examples of the options that I offer for each item, but still... can YOU add six more hours to the day so that I can get all of my listings reshot? Syd still LOVES My Little Pony (did you know that they've got a movie coming out next month?!? Syd is beside herself), so it's possible that more pretty things in My Little Pony fabric might be arriving in the shop later. First, though, I promised to make Syd a pair of MLP leggings. 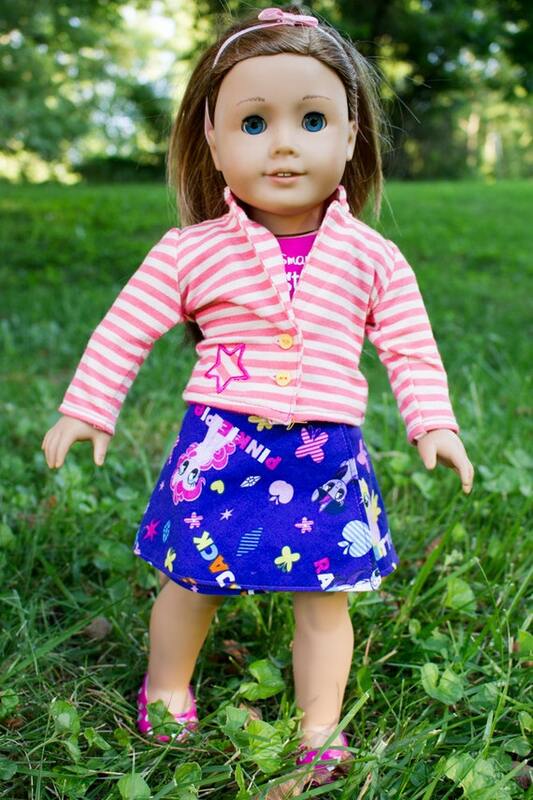 Ooh, I bet I could make matching doll leggings from the same fabric! 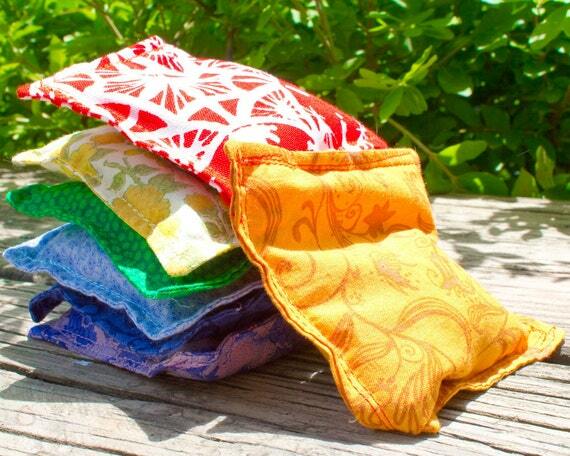 And if you're not into rainbows, I also sell a set of six! 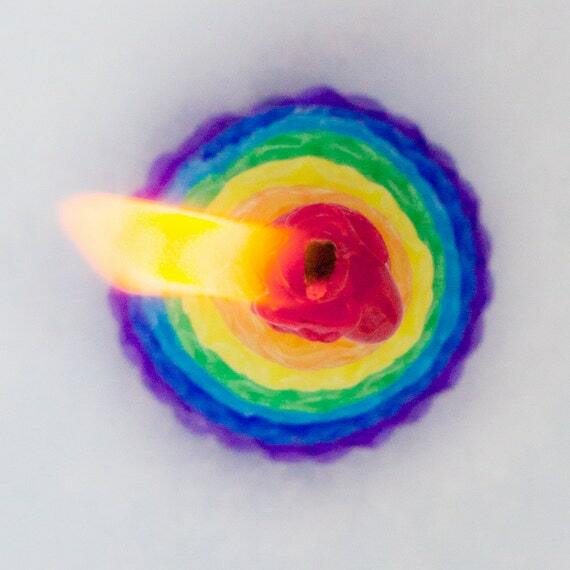 I came up with this candle when I was brainstorming different ways to add more rainbow candles to my shop--Syd was big into rainbows that year, and my line of candles was selling well. 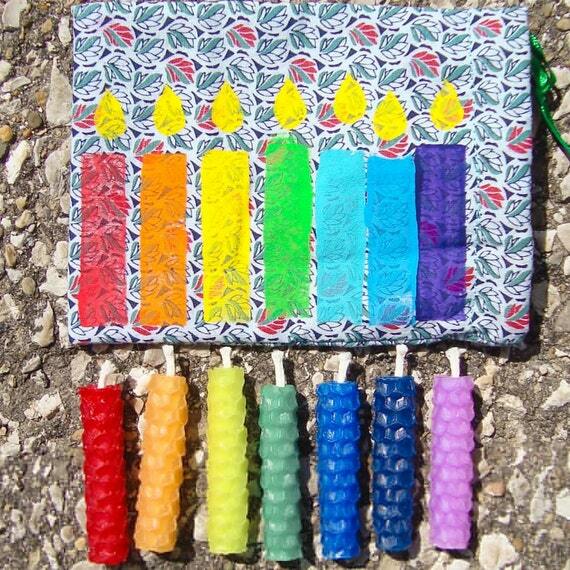 I really like this one because it has all the colors of the rainbow in one candle. 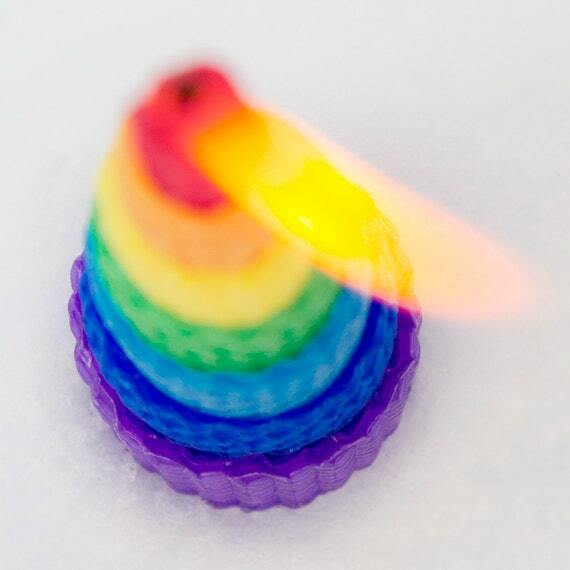 I added the six-inch version of the rainbow taper candle at the request of a customer who wanted a lower price point. I don't love this one as much, because with the way my beeswax sheets are sized, cutting it out makes more waste than with the eight-inch version. 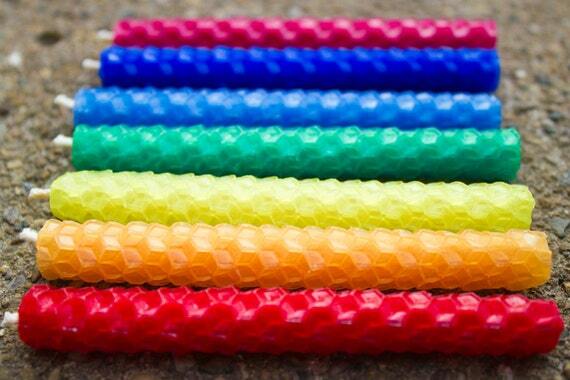 But it does tend to sell better than the eight-inch rainbow taper, so I keep making it. 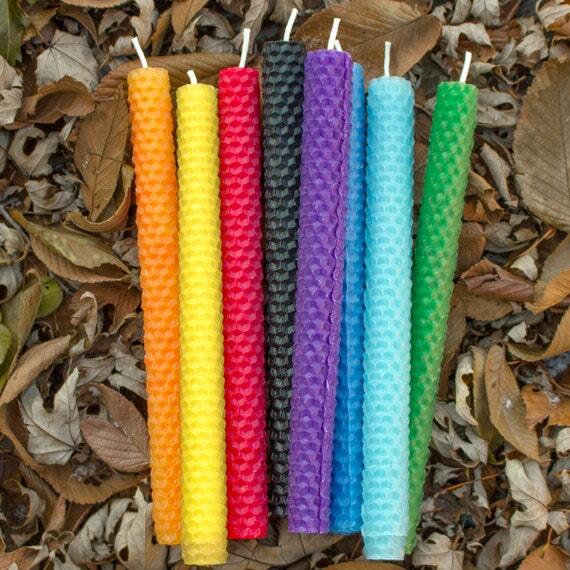 I have a lot of people who use this option to get all pink and purple candles, say, or all white ones. I'm thinking of setting up a special holiday listing, so that people can see right away how cool black/orange/purple would look for Halloween, or orange/brown for Thanksgiving, or red/white/green for Christmas. One single candle is so small and delicate that shipping isn't really efficient for this, but a customer who really did want just one candle requested it, so I keep it around as an option. 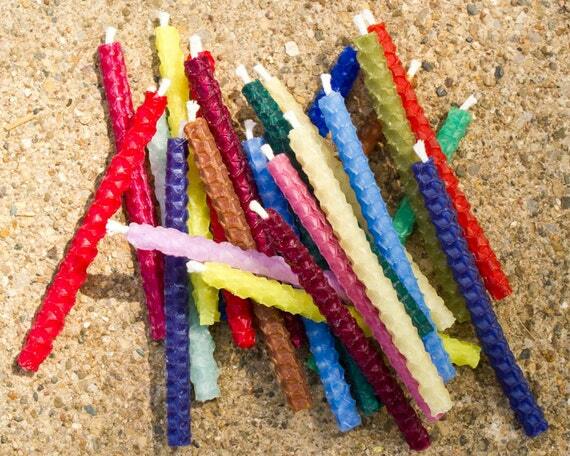 Sometimes people will use it to add one or two candles to one of the larger sets, and that makes the shipping a lot more reasonable. 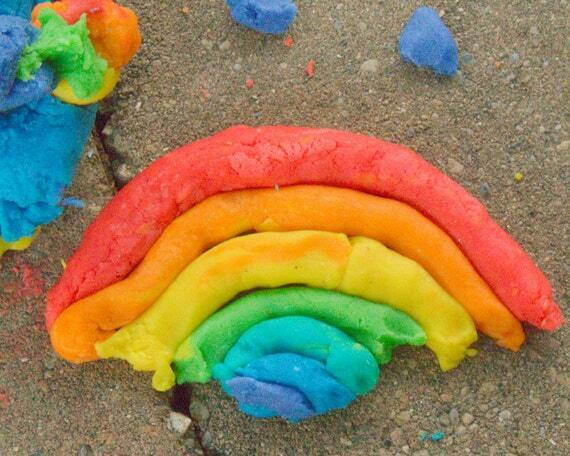 This is the go-to play dough recipe that I still make for the kids on occasion. When I first set up my etsy shop, my philosophy was that if I was making something for my own kids, I could also make it for other kids, and that's how pretty much everything in my shop came to be. 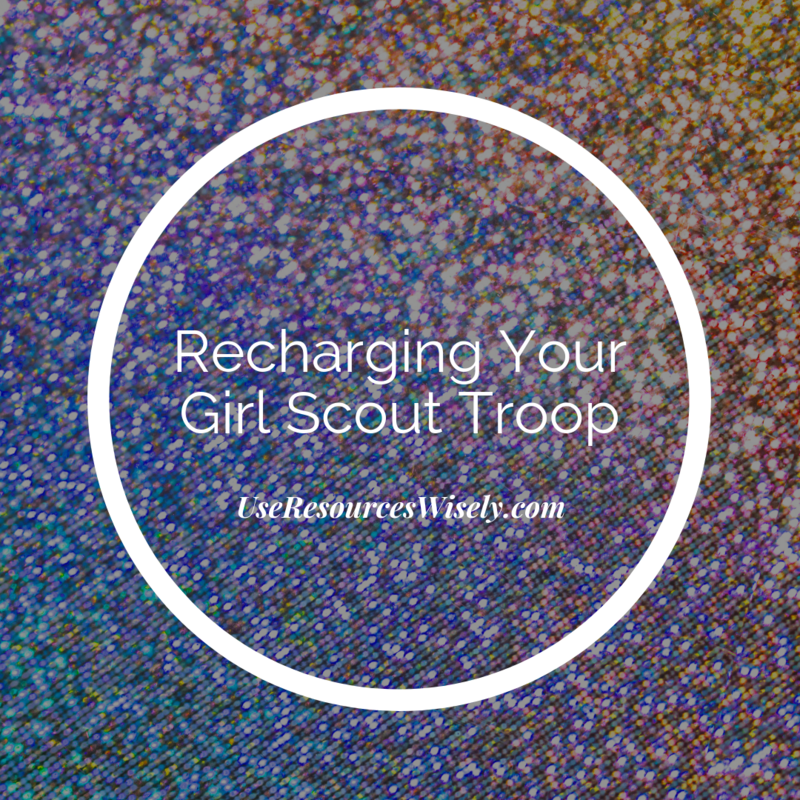 This, though, is the version that my own kids want--the colorful version! 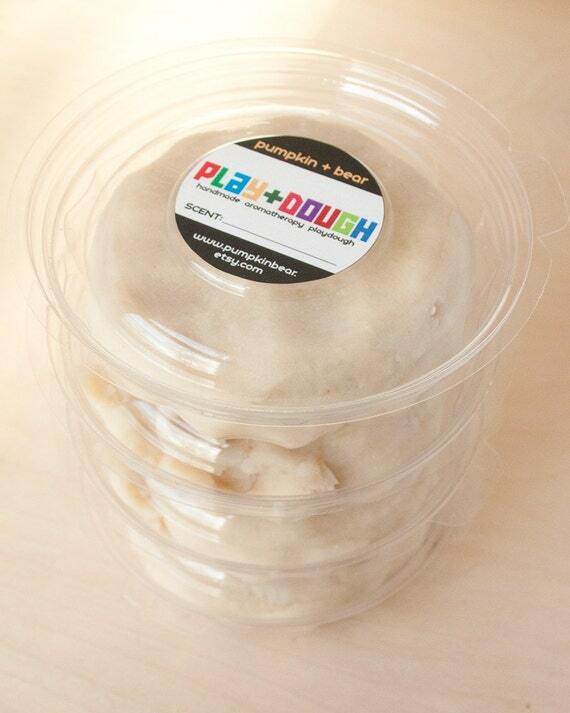 I sell this particular pound of play dough in one container, although I do have another listing mostly photographed, in the queue to be listed whenever you get me that extra six hours that I asked for. 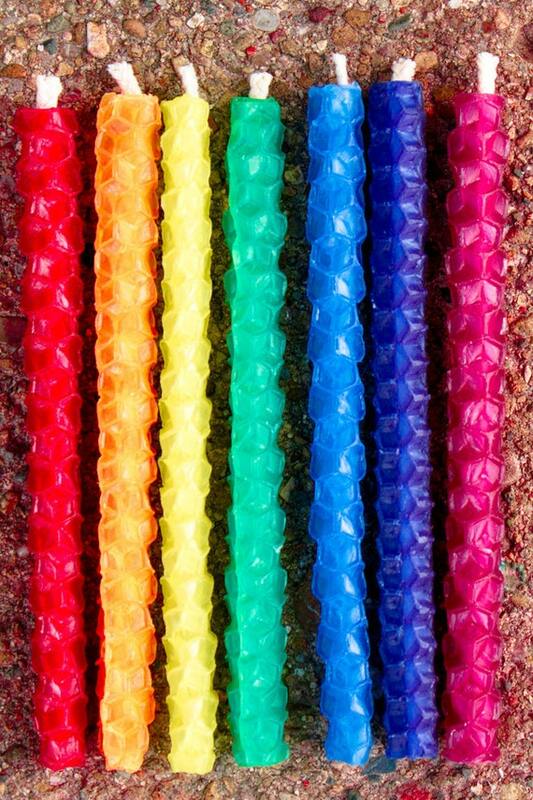 The new listing will offer any of the colors, including non-rainbow colors (I know--gasp! 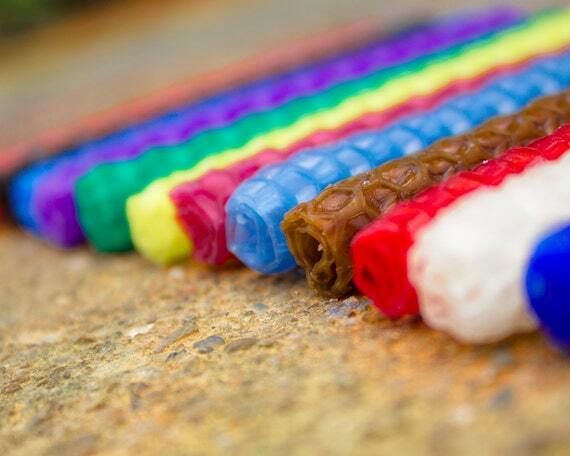 ), in one-pound containers, with a separate listing for seven pounds of rainbow play dough or six pounds of assorted colors. It will be a bounty of play dough for a lucky kid! 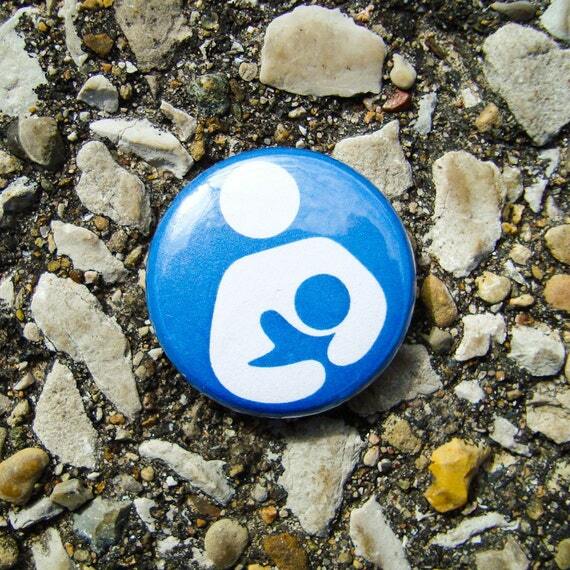 I used to sell a bunch more varieties of pinback buttons, but gradually I got tired of making them, and so this one is the last type that I offer. Syd's been drawing me some super cute stuff lately, though, so it's possible that she could be interested in making some button designs and starting her own little side hustle in my shop one of these days. The bean bag sets take by far more work than anything else in my shop, but they're so cute that I can't stop making them. This set of seven is a little less work than the stenciled set below. 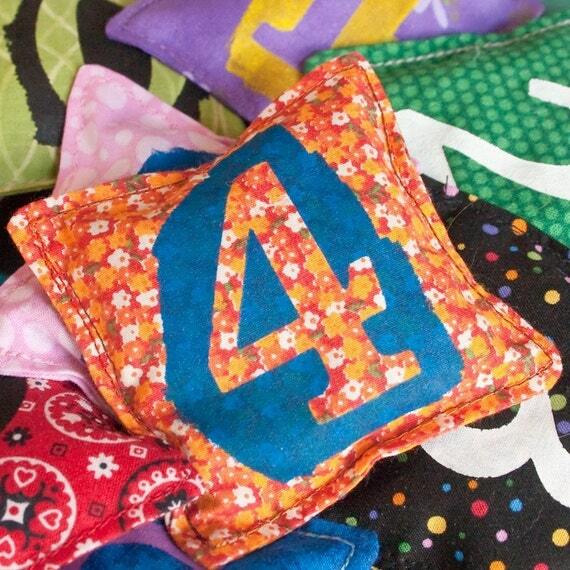 This set of ten bean bags is a RIDICULOUS amount of work, because the numbers have to be stenciled on every single one of them before I sew them--stenciled on both sides!!! I long to offer a complete alphabet set, or even a complete Greek alphabet set, or maybe a periodic table of the elements set, but I can't fathom where I'd find the time to make such large sets--maybe you'll find me an extra twelve hours a day, rather than just six? 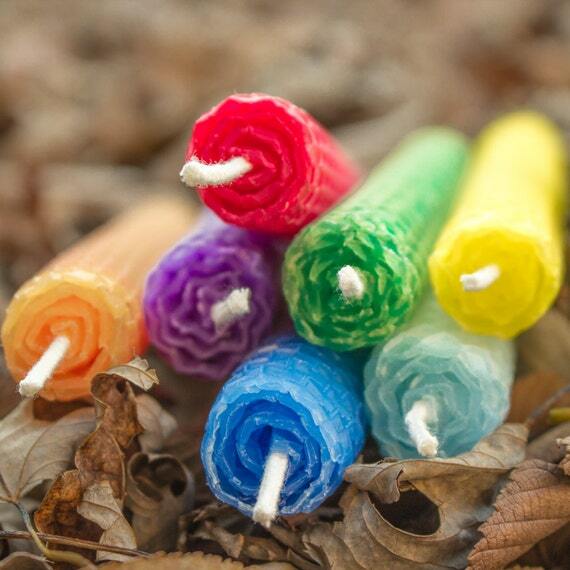 The Waldorf ring candles are probably my favorite item in the shop--they're such a good size, and less fiddly to make than the birthday candles, and they look so pretty lined up altogether! As with most of my other items, I've learned that it's best to offer a lot of varieties, and at different price points. 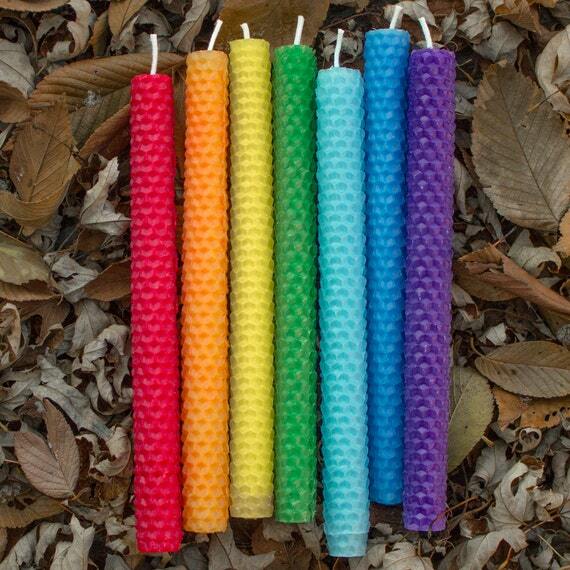 I've got the single Waldorf ring candle, this rainbow set of seven, and a much larger set, below. 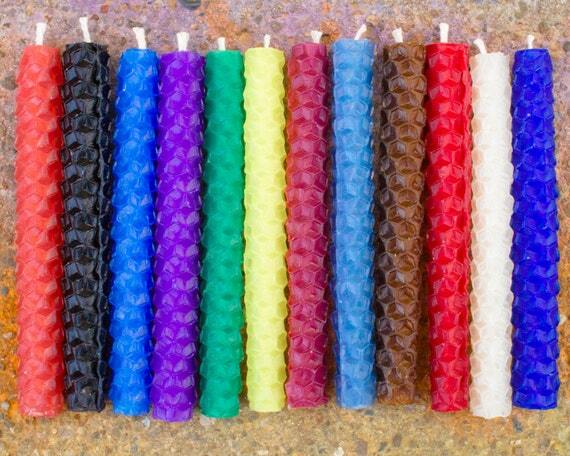 People don't often ask for larger sets of the birthday candles, but they do sometimes want larger sets of these Waldorf ring candles. One of my dreams is to start making and selling the special holders for these. They're so sweet and festive at the holidays! This is another listing that I set up at a customer's request. It's all the materials needed to create four Waldorf ring candles. 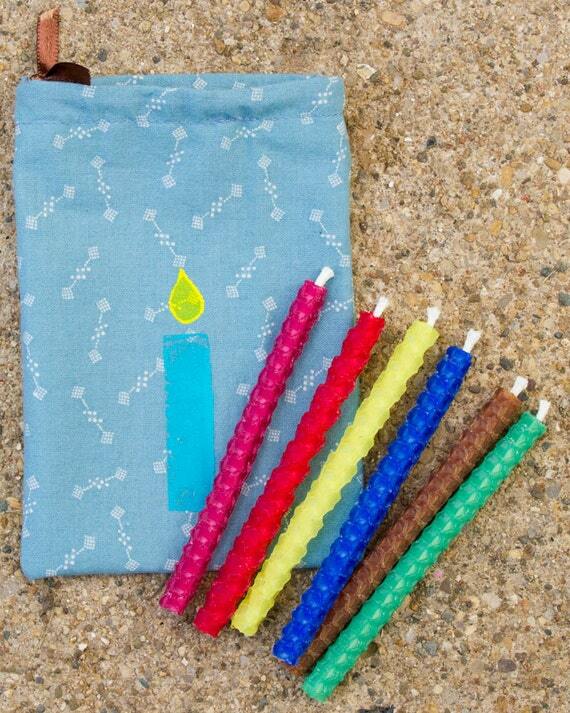 It's nice for customers, because you can't really buy the supplies to make just a few rolled beeswax candles from a regular store, and it's nice for me, because putting together one of these sets is quick and easy! I'm a little annoyed with myself, because I've had all the photographs that I need to rework this listing for ages, and just haven't done the work. But seriously--those six extra hours! I need them! 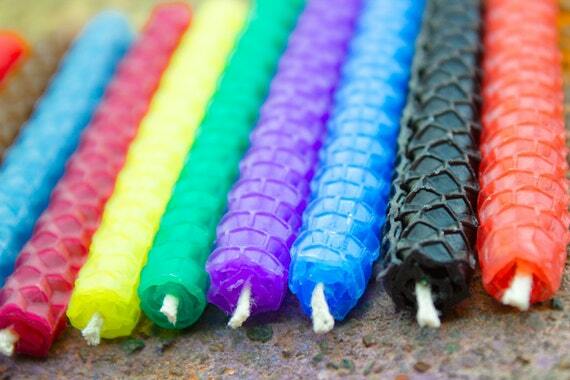 Right now they're still listed as fairy candles, because when I first made them, my kids used them in their small world play. 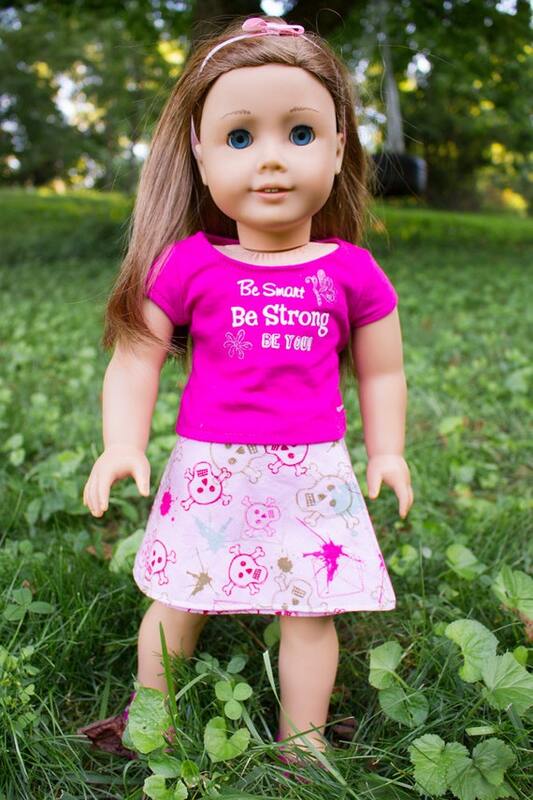 I had the revelation a few months ago, however, that these are actually the perfect size to be real, working doll candles for 18" dolls, and so now I just need to edit my photos and remake the listing to reflect my genius revelation. 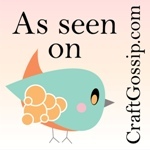 An etsy shop is one of those things that is never perfect, never quite done. 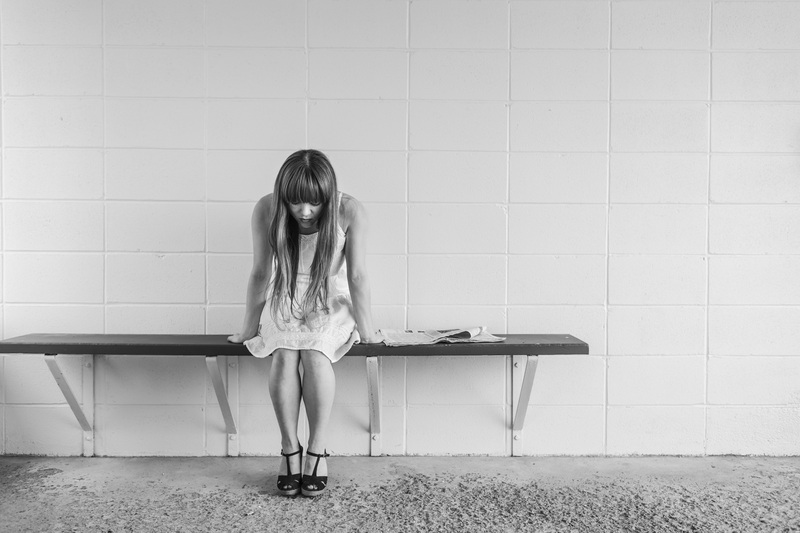 There's always something else that needs to be re-shot because the photos were weirdly lit, or a shipping calculation that needs to be recalculated, or a new variety of something that I want to make and list. There's always a holiday coming up that I could be adding special items for. Always something that could be altered and listed at a different price point. Always some viral marketing to be done. Get me those six extra hours a day, though, Friends, and I bet I could have my shop just the way I wanted it in a week!